Cancer testing is becoming more commonplace every day. Strip malls, in-home parties, even sporting events now feature hundreds of screening tests without any recommendation from a doctor. New research has found that many of these early detection tests actually reduce lifespan and quality of life, and should be considered carefully. These medical tests can have four outcomes: positive (you have this disease), negative (you don’t have this disease), false positive (you are told that you have this disease but you really don’t) and false negative (you are told that you don’t have this disease but you really do). Obviously, the true negative result is what we all want. A false positive cancer test result can cause painful or even dangerous procedures to eliminate a cancer that doesn't actually exist. Many cancer treatments are basically poisons that kill cancer cells slightly more quickly than they kill healthy cells. This is an acceptable risk only in cases where the cancer is certain to take your life. With a false positive test, you are taking on all of the risk without any of the reward. A false negative test is a cruel joke. You receive the test results with a happy sigh and go on about your life, believing that everything is as it should be. You may even overlook symptoms that would otherwise take you to the doctor because you truly believe that everything is going great, you just had the test, right? This can delay treatment of a curable situation past the point of no return. A true positive test is terrible, but not always because it means that you have cancer. In many cases, the treatment for the cancer is worse than the effects of the cancer itself. This is especially true for some types of breast, bladder, lung, mouth and prostate cancer. 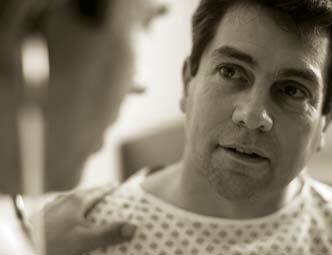 It is quite common for people to die of old age that have undiagnosed cancer that played no role in their death. The side effects of treating these mild, slow-growing cancers can far outweigh the negligible increase in mortality. So, should you avoid these tests? Like most things, it depends. If you have a family history of a particular form or cancer, the test is probably indicated. 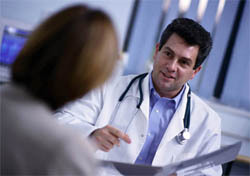 If you suddenly have symptoms that could be cancer-related, the test is probably indicated. First, though, have a frank discussion with your doctor. Learn about the possible side effects of the test itself. Ask about the impact of NOT treating a positive test result. How accurate is this particular test? What is the next step if the test is positive? Your doctor can put everything into perspective far better than the clerk at the mall “whole body scanning” center. Once you get the facts, then you can make an informed decision.